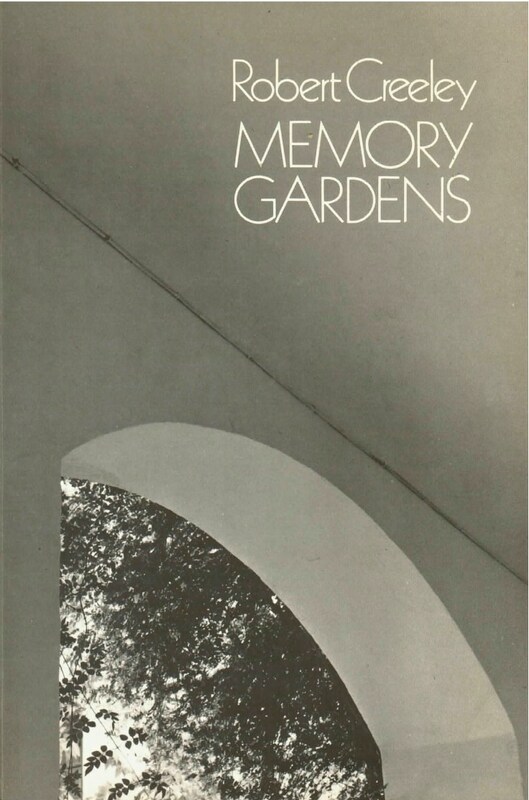 The title of Robert Creeley’s new gathering of poems, Memory Gardens, softly announces his meditative theme. As on a quiet walk through a familiar landscape, the poet leads us along paths of recollection. Thoughts turn back upon themselves, evoking half-forgotten intangibles of past moments. Childhood and family, old loves lost and new loves gained, the change of seasons, supper in the kitchen––it is such particularities as these that Creeley catches with the spare lines of his tight constructions. Though comprised of short poems in the main, the collection includes three exceptional sequences: the poignant “Four for John Daley”; “Après Anders,” macaronic improvisations on work by the German poet Richard Anders; and “A Calendar,” a group of twelve poems, one for each month of the year, appropriately concluding the book with a December “Memory” (“Only us then/remember, discover,/still can care for/the human”).